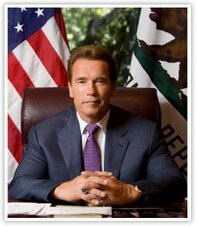 The Permanence Integrity Standard – known as the 100 Years Rule – is not understood by most people, including many experts. It requires that soil carbon levels be maintained for 100 years. Failure to do so, it is said, would see the farmer (or his descendents) be required to repay the money. Many believe the farmer’s family (and the farmer’s banker) would not feel comfortable with such an exposure. But the 100 Years Rule is not The First Commandment. 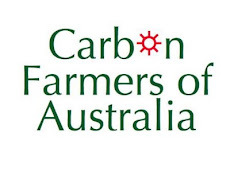 It only appears to be major blockage to trade in soil carbon offsets. Markets have ways of innovating around blockages, and the IPCC itself has suggested several pathways, including self-insurance, standard crop insurance schemes, regional, national and industry-wide buffer reserves, cross project reserves, etc... The problem is not the period of time involved, but the size of the risk when introducing the new and the unfamiliar. The size of the Permanence Problem is also misunderstood. 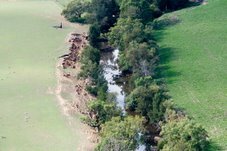 There is a widespread belief that soil carbon is unstable and always leaks back into the atmosphere. 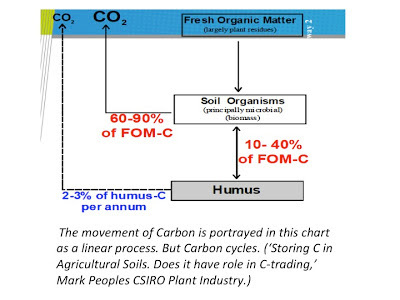 However the CSIRO reports that the largest ‘fraction’ or form of soil carbon – humus – is stable for up to 1000 years. The unstable (or the “labile” pool) represents less than 10% of total soil carbon. Carbon cycles. Between two processes: photosynthesis and decomposition. Ignoring one half of the cycle risks misunderstanding. Even this more mobile, unstable pool can be managed and maintained by observing the carbon farmer’s objective of 100% groundcover 100% of the time. 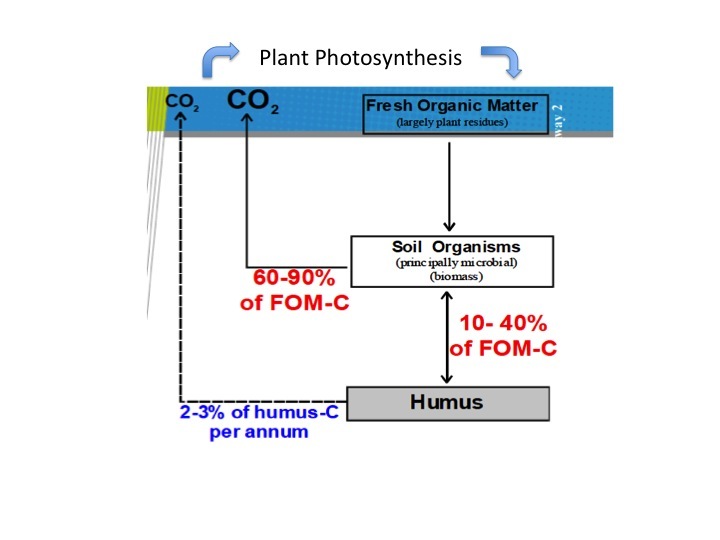 By maximising the input from plant photosynthesis, the farmer can maintain the carbon cycle at a healthy rate, replacing the mobile molecules. 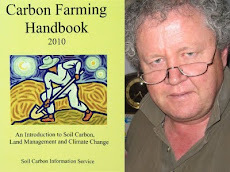 Another theory creates a fiction of the fact that humus contains large amounts of essential soil nutrients by claiming that the farmer would have to buy fertiliser to replace them. 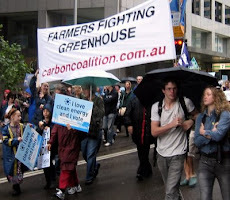 This would make carbon trading uneconomic if it was the case. 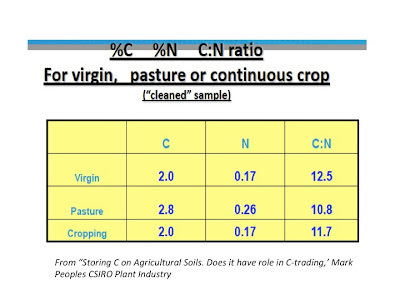 But the CSIRO reports that virgin soils also tie up similar amounts of nutrients in humus – and Mother Nature doesn’t need to buy fertiliser to replace them. 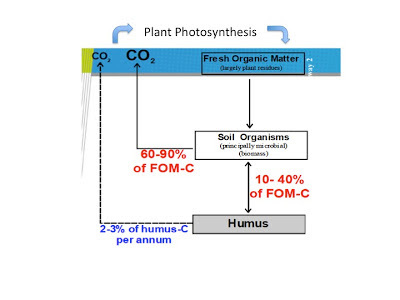 The thought that humus can be a negative influence in the soil is curious when you consider the many good things it does: It is a source of Nitrogen and Phosphorus for plant growth; it profoundly affects the activities of micro-organisms; and it promotes good soil structure, thereby improving aeration and retention of moisture and increasing buffering and exchange capacity of soils. 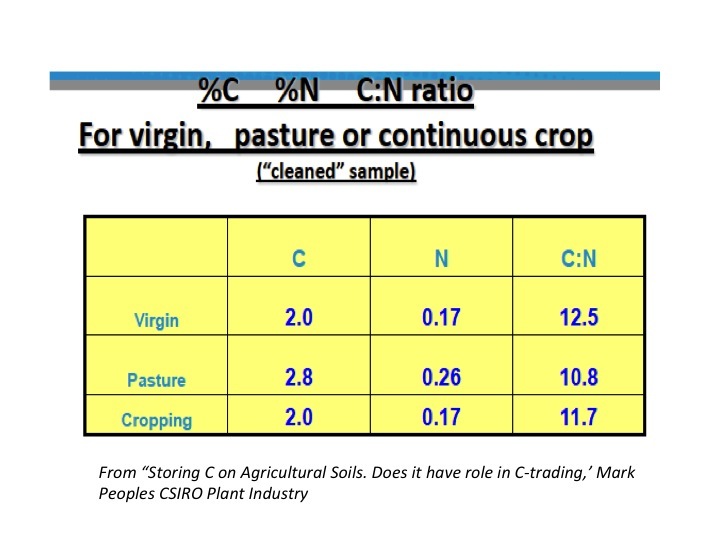 The "Virgin" data (above) reveals that Mother Nature doesn't need to buy fertiliser in a bag to compensate for all the nutrients humus ties up. Is deep soil carbon the Missing Sink?